Developed by Apple, GarageBand is a very powerful music-making app for iOS and Mac which you may buy from Apple Store with a one-time in-app purchase of just $4.99. However, if you want to get GarageBand for Windows, there isn’t any official GarageBand software for Windows as Apple has developed GarageBand. Although RareSoftware provides GarageBand for PC and you can download GarageBand for Windows from RareSoftware. And, when it comes to Android, there is no GarageBand apk available. But, fret not, we have mentioned some of the music making apps for Android that is probably better and could give you a similar experience (may be!) to GarageBand. Did you know that Music helps plants grow faster? It was exciting when I got to know the fact. So, I went ahead to go through the web to verify its legitimacy, and it turns out to be a solid scientific truth. There are several other benefits of music as well. If you’re working out at the gym or taking a walk, music on the go would help you achieve the task with more efficiency. And, interestingly it is found that professional musicians normally have a larger cortex volume thereby altering the brain structure. It’s weird to know about it, but we do know that music has a lot of benefits. To keep on experimenting and creating music on the go, you won’t have to carry the large musical instruments nor would have to purchase a mini version of any musical instrument. You just need to check out the fantastic music making apps we’ve compiled and get started with your love for music! Note: Although we may term these free music making apps as “GarageBand for Android” but these will probably not provide you the GarageBand experience you usually get on iOS or Mac. Also, many of these GarageBand alternatives music making apps will cause lagging, latencies, and incompatibilities. Don’t forget the huge resource hungry music making apps and the lower budget Android devices may not be good enough to handle these apps. FL Studio is a popular name among the users who make professional music. It helps a lot providing best virtual instrument capabilities. And, if you get to know the right way to operate it, you’ll do wonders on PC. But, here we’re talking about its mobile app which you can get it at $23. That’s not at all cheap. 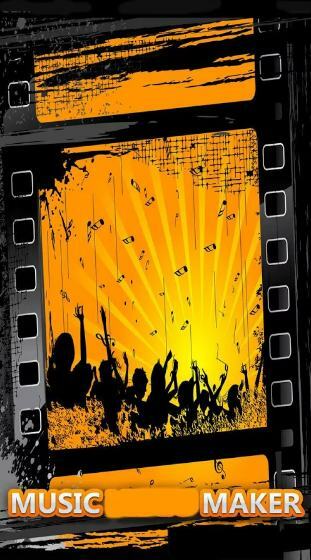 Well, you shouldn’t expect professional audio editing software to be available for low prices. 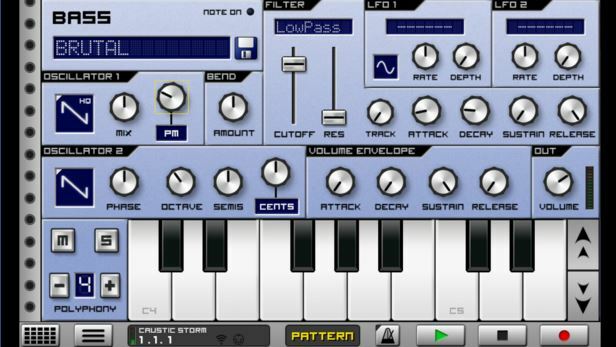 High-quality instruments give you a similar experience you would expect on desktop versions. It supports step sequencer for sliced-look reworking. You can even import/export MIDI file on it. So, if you’re serious about creating your own music, you can get it for yourself. However, the mobile app isn’t comparable to what you get on PC. So, it depends on your interest in music making. If you have an interest in making creative tunes, you should get it. But, if you just want to experience how these music making apps work, you should try a free alternative to GarageBand. I would suggest you to install this on a high-end device only or else you’ll encounter a lot of stuttering issues, and it would ruin your user experience. Walk Band is a specially tailored music making app for Android. 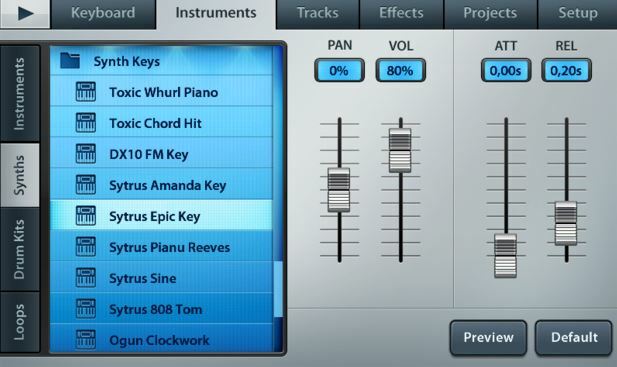 It offers almost all needed virtual instruments. It includes Piano, Guitar, Drum Kit, Drum Machine, Synthesizer, and others. The quality of the instruments is incredibly good. It supports external MIDI keyboard over USB. 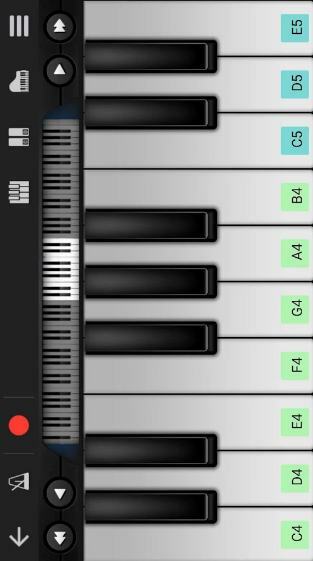 So, if you have a Yamaha/Roland keyboard, you can connect it with Walk Band and enjoy your time at home experimenting on your smartphone. If you’re creative enough, you’ll like Music Maker Jam and use it often to create great lovable music content. You can choose from over 100 styles which include hip-hop, dubstep, techno, rock, funk, ambient, jazz and tons more. You can share your music with the community and also listen to other creative minds. You can also use the sound mixing app to mix the song with the right balance needed. It offers an 8-channel mixer for the right balance. Also, you can apply real-time effects to give your music a magical touch. 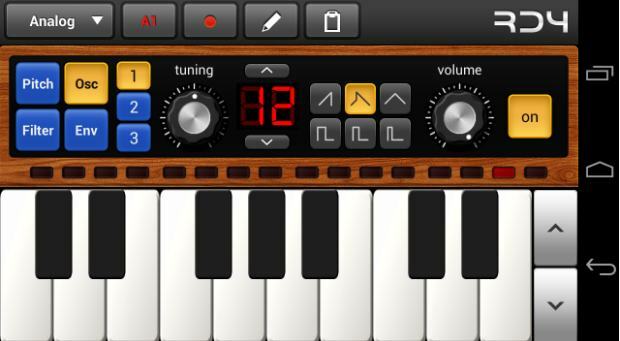 Another great music making app which gives you the multi-touch ability. You can compose and arrange music in real-time. It’s a quality coded music maker app. You can get the app for just $5.99. It comes with a real simple user interface. If you’re looking for a music creator app with an elegant modern design, this won’t satisfy you. But, it’ll work great. So, you shouldn’t care about the user interface when you want an excellent music making app helping you create good tunes on the go. Got something booming on your mind on the go? You might forget an interesting beat you had on your mind. It’s a free rap generator app. That’s a good thing to hear in a while! You can make perfect professional hip-hop and rap beats. Well, you can use them as a personal collection and sing with it as well. Share the link with me here if you d0 make an exciting beat! It’s yet another powerful music making app with 16 amazing effects to boost up your creativity. It’s free to install but comes with the restriction to save or export your files. That’s the most important part if you want to save your finished work to a WAV, Ogg, and MIDI. To unlock the option you’ll need to pay $9.99. Is it worth it? Yes, one can rack by adding 14 types of instruments and functions. 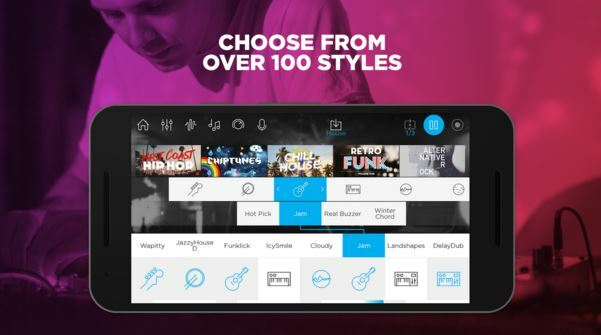 It’s like an all-in-one music maker app tailored for Android. It provides you with an 8-channel beatbox sampling drum machine. Well, that is certainly a bonus-paying for it. Also, to surprise it offers 8-band harmonic vocoder. And, there’s something newly introduced on the music making app, that’s KSSynth. You’ll get to know about the tech when you work with it. So, it’s like an exclusive feature which is a string modeling synth. 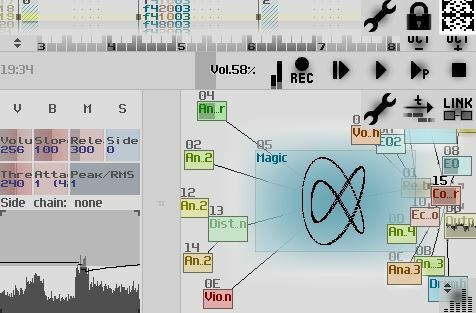 SunVox is one of the highest rated music making app for Android. Didn’t knew that? It’s a less-known app but is powerful enough which is worth a try. If compared to other music making applications, it’s too small but it does a great job. However, it’s not a complete thing which contains all the instruments but one. It is a modular synthesizer with a pattern based sequencer. So, if you’re looking for an ultra compact synthesizer, you should get it. It would cost you just $8.09. It supports line-in recording in real time. If you have got the skills and love music, you would benefit by using these music making apps. Well, having them installed would be a good plan if you’re humming a creative tune instantly and play it along for a quality time. It’s an alternative for creative minds who do not own musical instruments but have the interest to create something better than the experts (you never know!). Tell us about your musical experience with these GarageBand alternatives music making apps installed on your device and drop a link in the comments section below to let us hear the tune you just created! We’ll love to hear that! Also, let us know if you know any better alternative to GarageBand for Android.